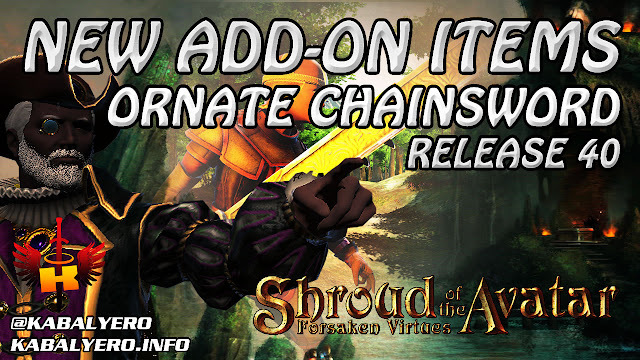 While waiting for Release 40 to actually get released, I decided to check out Shroud of the Avatar's Add-On Store. There are some new Release 40 Add-On Store items but the one I would probably buy is the Ornate Chainsword because it looks freaking awesome. Currently, I don't have any Store Credits in my account but I'm hoping to buy this Ornate Chainsword with Game Gold in the game. Watch the video below to see some of the recently added Release 40 Add-On Store items.